In this clip from the series Sunny Day, Sunny and her friends are out on a camping trip, learning all about nature and having fun in the outdoors! In this clip from the series Sunny Day, the Surf Bros are missing from their concert! It's down to Sunny and Doodle to find them and take them to the big beach show! Enjoy this Style File from the series Sunny Day. Follow these easy steps for a mermaid tail braid! 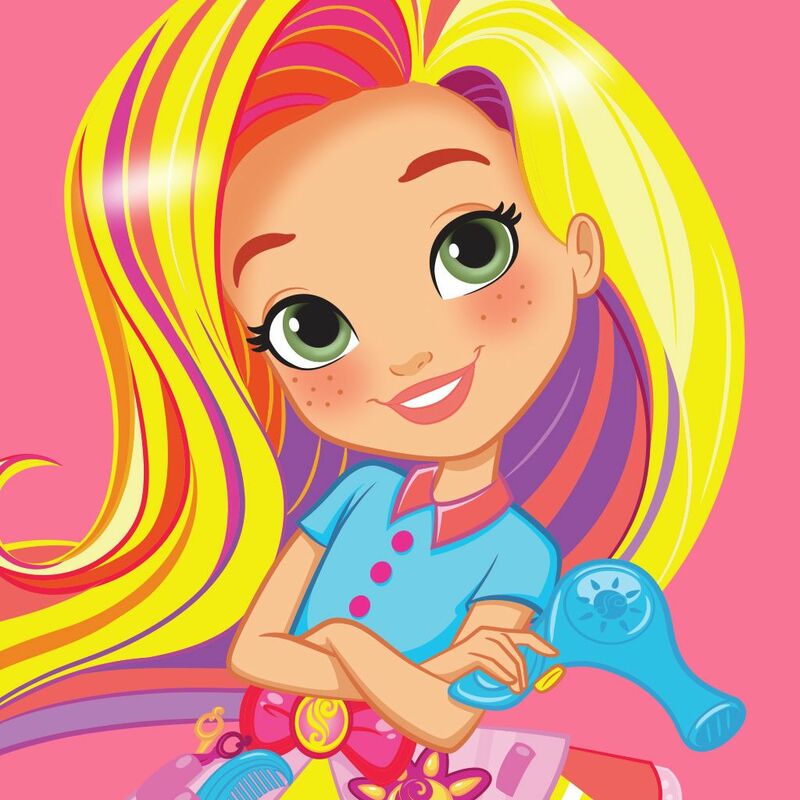 Sunny, Rox and Blair give Mandy a multi-coloured makeover for her new music video, in this clip from the series Sunny Day. For this Style File you'll need a brush, hair elastics, hair pins, a sock, a teasing comb and some string. You'll have hair like Mandy, from the series Sunny Day, in no time! Make a super cute top knot, inspired by the Sunny Day episode 'Top Dog', with the help of this Style File!